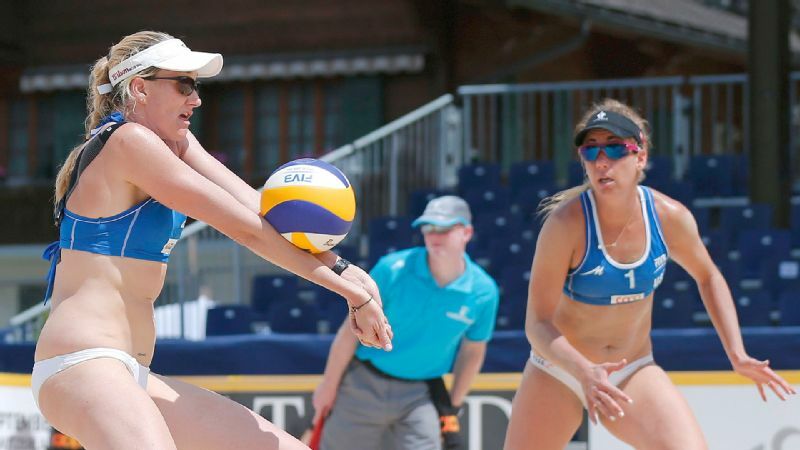 Kerri Walsh Jennings, left, and April Ross, right, each brought the energy with their previous partners, but together the two can feed off each other. "It's a totally different game when we're on the same side of the court," Ross said. "We're still figuring out what that is but it's coming along pretty fast." "I've never played with anyone with as much energy as April has," Walsh Jennings said. "It's like looking in a mirror out there. I think we're really similar in the way we play and the way we feel about playing. I don't think I would have guessed that really. I'm still getting to know her." 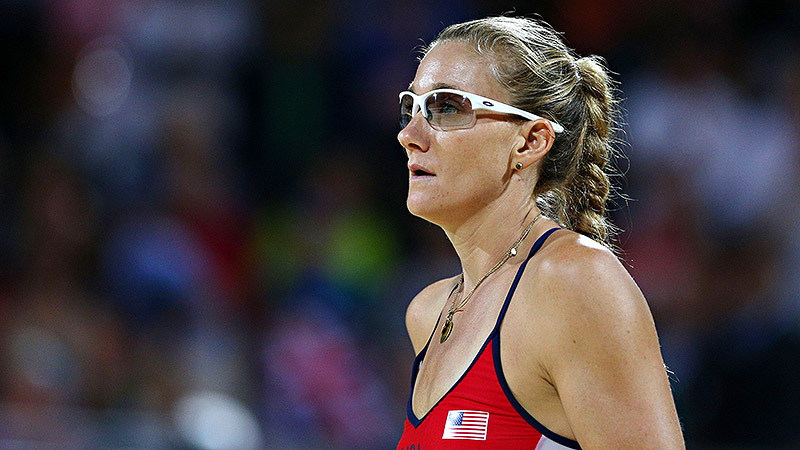 Kerri Walsh Jennings, left, and her previous partner, Misty May-Treanor, defeated April Ross, right, and Jen Kessy to win gold at the London Olympics. "I feel like Jen and I were yin and yang as far as energy," Ross said. "But I really like how Kerri and I start a match with the same energy and push through the whole time. It is awesome and it makes the game easier." "There is an intimacy level that you need to be great," Walsh Jennings said. "I think why we had so much success with our former partners is because we had that in spades. We took it really seriously and it's a beautiful thing when you have a great partnership." Ross and Walsh Jennings both know what it's like to build and maintain long and successful partnerships, but they say they'll never make comparisons to the past. "We want our own chemistry and we want to be better than we were before," Walsh Jennings said. "Not for one second will I ever compare April and I to Misty and I. It's just not possible. It's not fair and it's looking back as far as I'm concerned." With the best blocker in the world and the best server in the world on the same side of the net, Walsh Jennings and Ross are already a force on the domestic tour. Their real test will come with the international tour. They'll compete in their first FIVB Grand Slam against the world's best teams in Brazil and China starting next week. "I'm looking forward to that making us better," Ross said. After the Olympics I felt like the target on me and Jen got a lot bigger, and I got a little bit used to it then. It's going to be even bigger now. So I am looking forward to that challenge." For now they are focused one match at a time and taking care of what they can control on their own side of the net. But the big picture -- gold in Rio -- is never far from their minds. "We have a big goal and we're in it together," Walsh Jennings said. "I think both of us are so excited about the potential. We're striving for one of the most prestigious things in sports. We have all the tools it's going to take to accomplish our goal. That's the exciting thing and also the scary thing because we know it's in our hands."